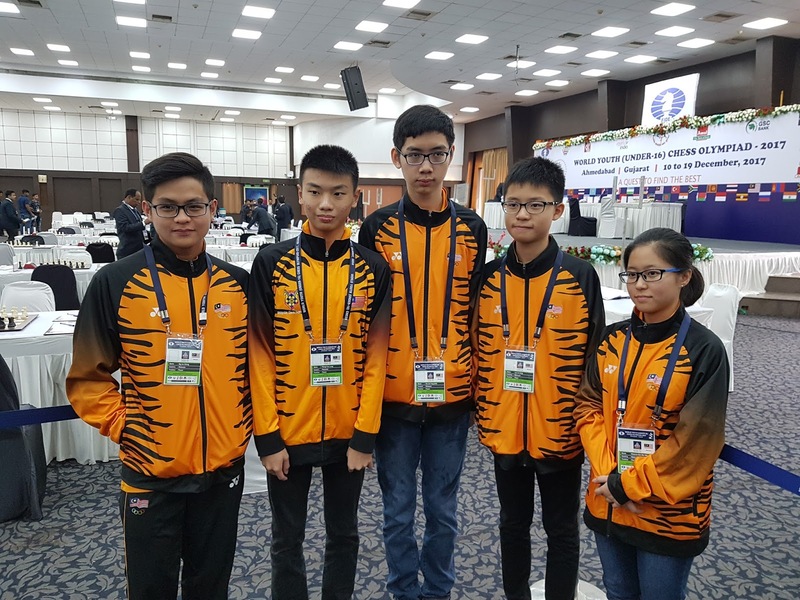 Malaysia is seeded 14th from 30 teams in the World Youth U-16 Olympiad and that meant we got one of the weaker teams in Round 1. Ng Jen Sheng had flown in late the night before from Chennai but we has already long before planned to play Wong Yinn Long, Lye Lik Zang, Tan Jun Ying and Melanie Koo. Being paired against Kenya A was a bonus as it ensured that we would be off to a winning start and the 4-0 scoreline was really the minimum result expected. Tomorrow will see the first of two days of double rounds and we will have a very much better idea of where we really stand in relation to the other teams. We would love a top ten finish but it would not be a surprise if in the end we finished as low as just in the top twenty thanks to an unlucky last round pairing. 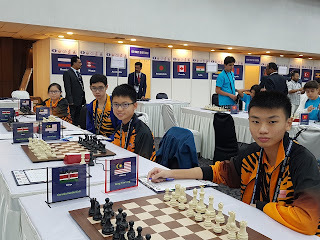 Some teams are almost certainly going to be just too good, being traditional chess powerhouses, and these are ahead of us in seedings and which are all three Indian teams, Iran, Russia, Armenia, Uzbekistan, Turkey, Israel, Belarus, Kazakstan, Argentina and Mongolia. We also cannot take some of those ranked below us as pushovers either, with Canada, Bangladesh, Indonesia, Iraq, Sri Lanka, South Africa and Australia all close to our level. Our team will have to perform near optimal to justify our seeding and our players to make individual steps forward to upset the teams we are not expected to a have chance against. Yinn Long and also Lik Zang will then be up against significantly higher rated opponents while Jun Ying and especially Jen Sheng and to a lesser degree Melanie will need to score heavily, both against players of about their strength but all those a little short of quality. It will not be easy but the team will certainly be doing their very best!